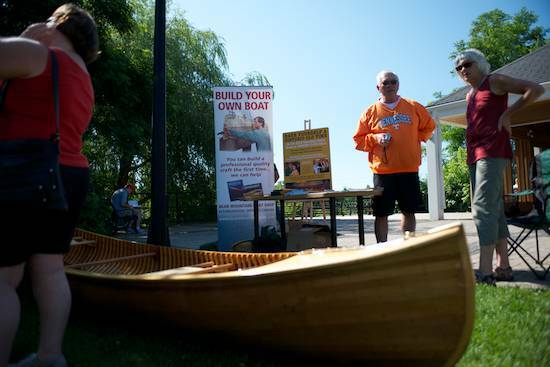 As part of National Canoe Day celebrations, Peterborough kicked off the event today in Millennium Park next to the Silver Bean Cafe. 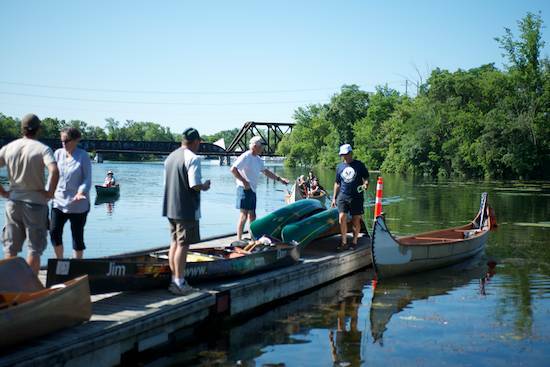 Canoe manufacturers, antique boats and canoes, and paddling trips in an authentic Voyageur Canoe from the Canadian Canoe Museum were all part of the festivities. Take a course from the Peterborough Canoe Museum on making your own paddle. An amazing look at all of the Peterborough companies that are no longer around. 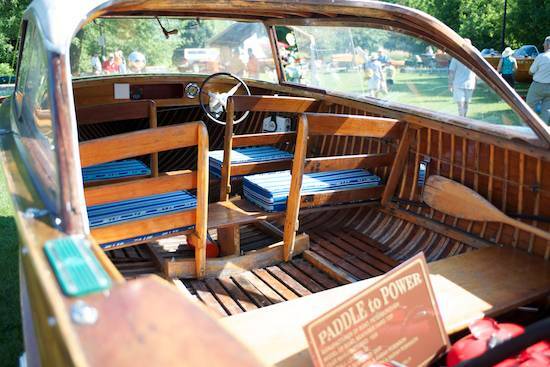 A 1958 Peterborough Seafarer that was restored in 2009, including comfier seats. Joan Barrett (on right) from Bear Mountain Boats. 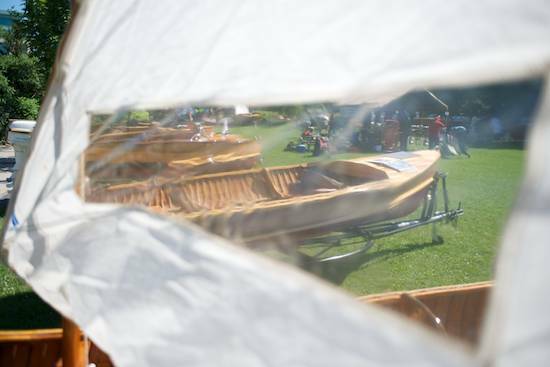 A peek through the sail of one of the boats.